A normal body temperature is about 98.6 degrees Fahrenheit. It's not uncommon for people to run a little higher or lower. However, if you have a fever that reaches 100 or higher, you may have a serious infection that requires medical attention. Pneumonia, for example, can present itself with a fever as well as lung issues, cough and chills. Your body may be trying to rid itself of the infection by raising your internal temperature. Call your regular physician to discuss these symptoms and a temp over 100 degrees. If you feel super emotional out of nowhere, have slurred speech or vision troubles or cannot properly use your limbs all of a sudden, you should see a doctor. These can be signs of a stroke, a blood clot that affects your brain and can be deadly if not treated. Sudden shortness of breath is another important sign to look for. Tightness or pressure in your chest may indicate a heart attack or other cardiac issue that requires medical attention. 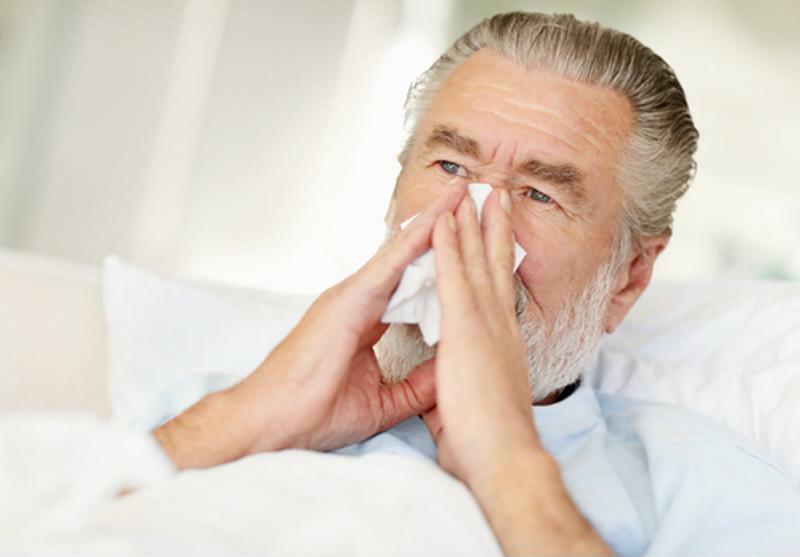 A senior cold that lasts longer than a week may indicate something more serious. Seniors are some of the most susceptible people to colds and viruses. It's normal for a regular cold to last about a week. If you have symptoms like coughing, wheezing, drippy or stuffy nose that don't improve after seven days, see your physician. You may have a bacterial infection that requires antibiotics or other treatment and will not go away on its own. Although you may hear more about middle-aged individuals having heart attacks, seniors may experience cardiac incidents as well. Chest pain is a common indicator. The National Institutes of Health noted that promptly treating a heart attack is crucial to limiting damage to the heart and preventing death. Call 911 in the event that you experience sudden chest pain. It is unsafe to drive yourself or even have someone else drive you to the hospital as you may need faster medical assistance. Seniors are also at risk of skin infections because the outer layer of their skin is thinner and more susceptible to breakage. A tiny paper cut could turn into a serious drug-resistant infection if it becomes infected and goes untreated. A small cut isn't reason enough to go to the doctor, but if you notice puss or discoloration you may need to go in. If you are still unsure if you need to see a doctor, speak with a nurse at your assisted living community or call your regular physician. These professionals can provide their opinions on possible causes of the issue and recommend further treatment options like going to the hospital.